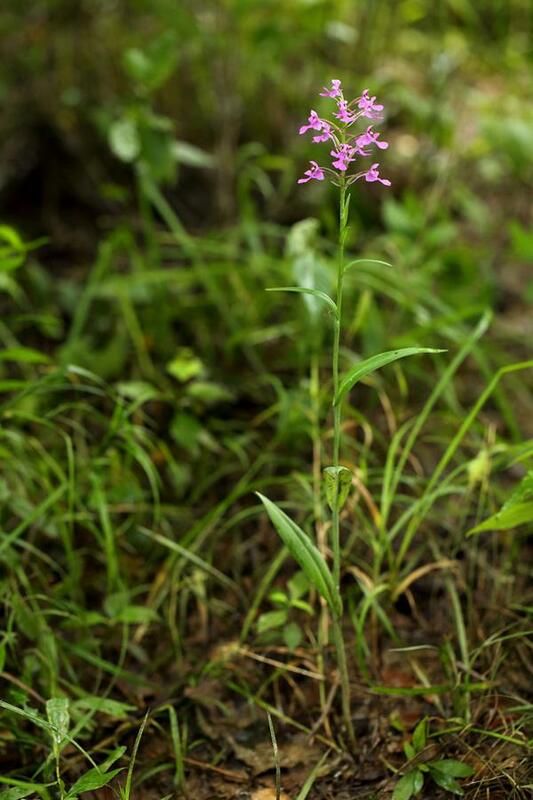 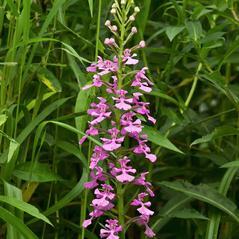 Platanthera peramoena, also called Purple Fringeless Orchid, has a limited distribution in the southeastern and central United States, from Missouri to New Jersey. 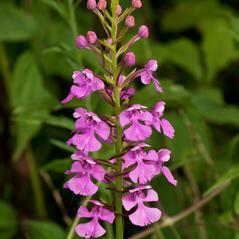 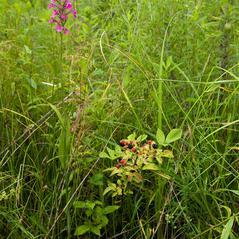 It produces 2-5 spreading leaves along its stem, and bears an inflorescence of multiple, showy, pink or purple flowers. 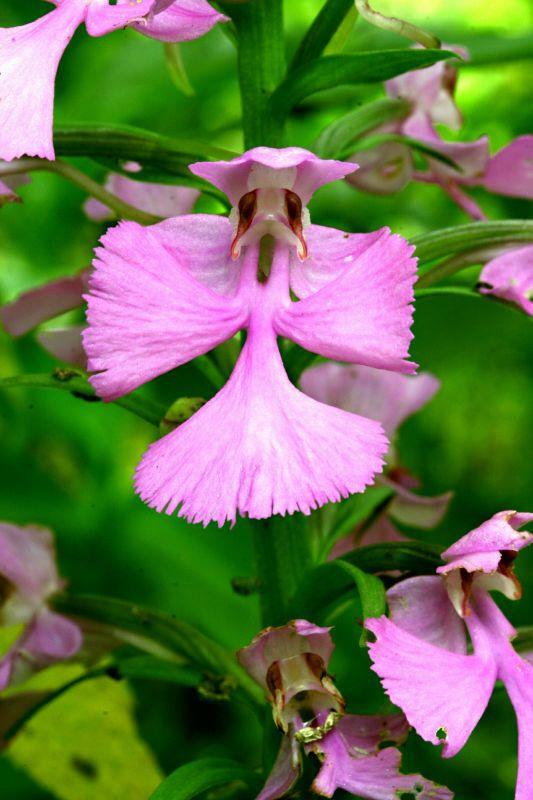 The labellum is deeply three lobed and usually slightly dentate (not fully fringed), although it is occasionally nearly entire; a prominent notch slits the central lobe of the labellum. 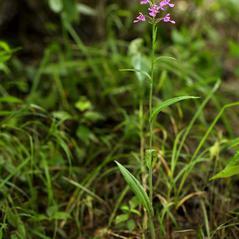 It grows in moist forests, woodlands, meadows, and thickets, as well as in marshes and swamps. 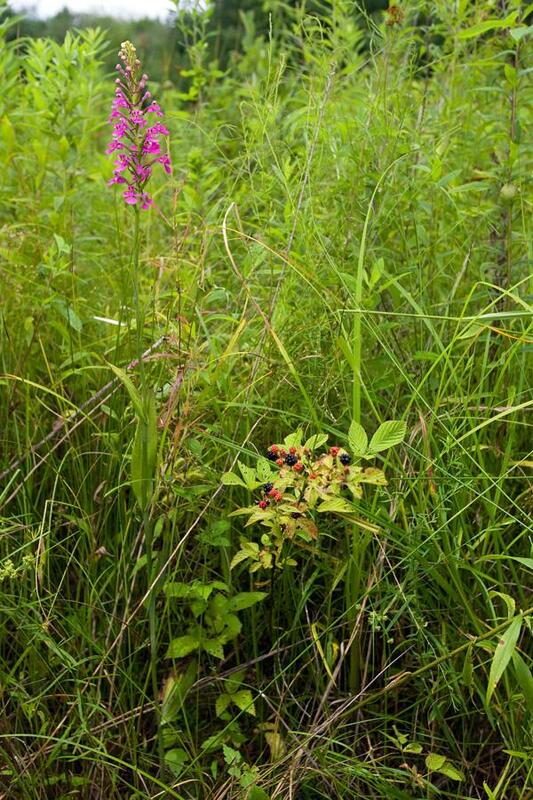 It appears to benefit from natural disturbances that reduce over head tree canopies and result in more light. 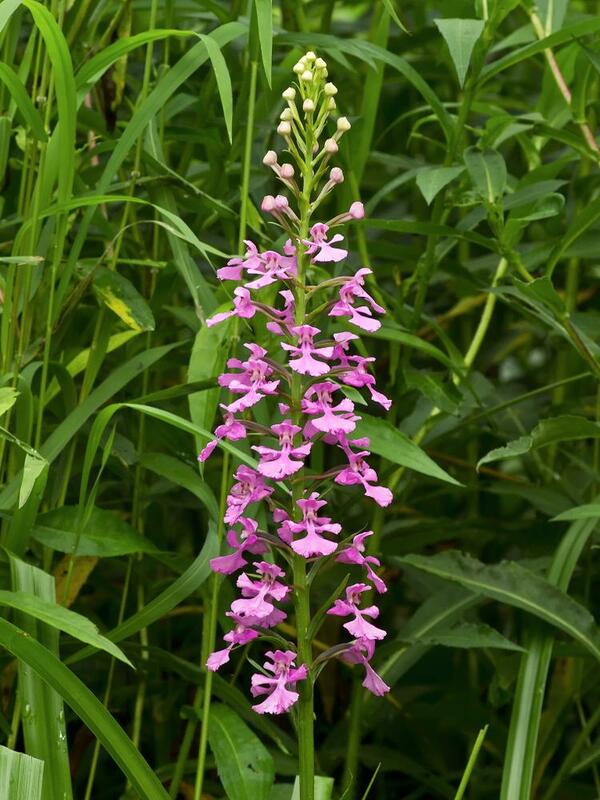 Platanthera peramoena is considered globally secure, although it is rare or vulnerable throughout most of its range. 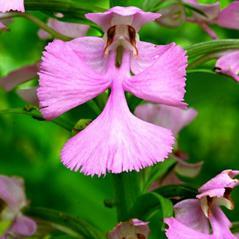 It can be distinguished from P. psycodes and P. grandiflora by its entire (unfringed) labellum. 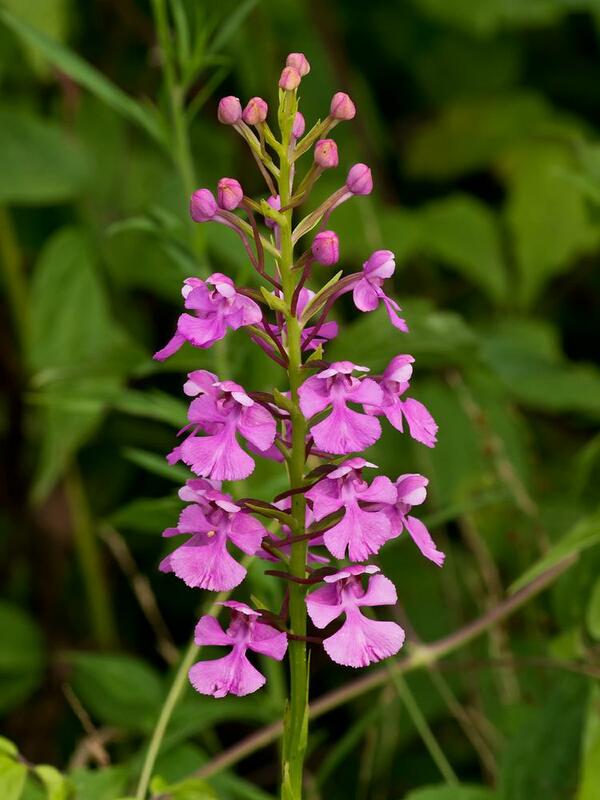 This orchid is pollinated by Danaus plexippus, Hemaris diffinis, Hemaris thysbe, Papilio glaucus and Papilio troilus. 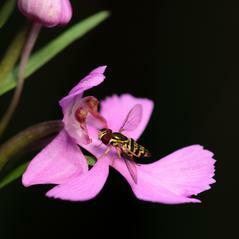 Hemaris thysbe is thought to be a very efficient pollinator as the distance between the compound eyes line up exactly with the distance between the viscidia. 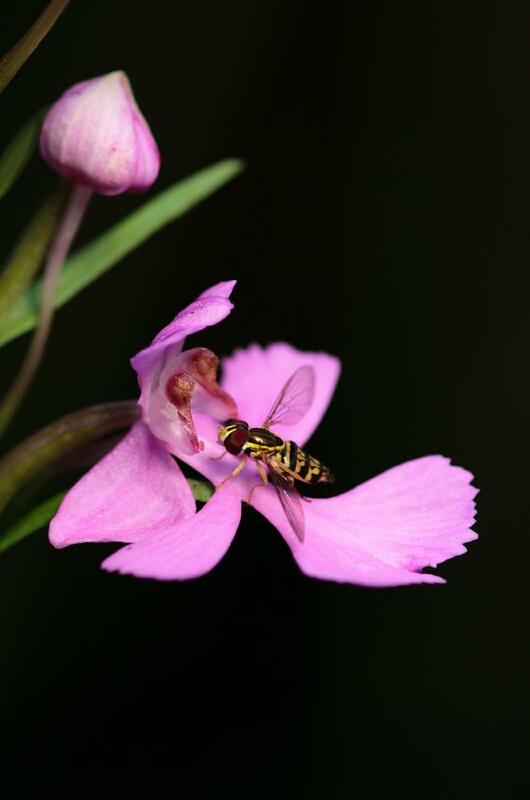 Although its proboscis is shorter than the nectar spur, it can still access the nectar and in the process contact the viscidia, remove pollinaria and secure contact between pollinia and the stigma of the subsequent flower visited.